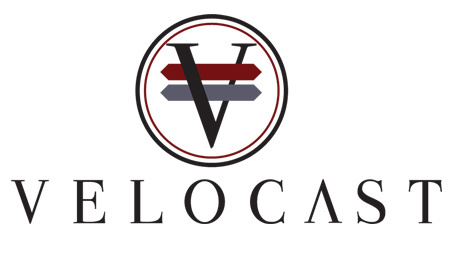 If like myself, you would be inclined to turn on the radio to chill out a little rather than the television (such is the majority of dirge that's shown these days) then you may or may not be aware of the excellent series of podcasts from the Velocast crew. 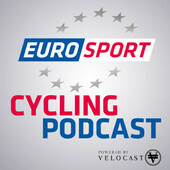 There's a variety of shows available, but my two favorites are the weekly-ish Velocast & Race Radio show, now under the banner of Eurosport. Here the guys (John Galloway & Scott O'Raw) discuss the weekly happenings in the world of pro cycling, covering the major races and general cycling gossip of the week. It also features a brilliant section dedicated to the coverage of the womens professional scene, hosted by the uber knowledgeable Sarah Connolly. 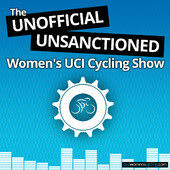 Sarah runs the awesome Pro Womens Cycling website, where you can also find a standalone womens cycling podcast. Her knowledge, coverage and general insight honestly puts every other outlet I can think of to shame. Its excellent for those interested in the riders and racers.. so yeah, check it out! 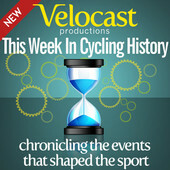 The other show that I have seriously loved is the 'This Week In Cycling History', where each episode looks back at some historic moments and curious stories from the archives of cycling histry, usually tying in with the current race week or thereabouts. Hosted by John Galloway, the show features short stories by Cillian Kelly and then segues into quite a bit of banter around the riders and moments of yesteryear. This is a cracker for easy listening, I often like to zone out listening to an episode on those awful days im forced to take public transport. Anyway, be sure to have a peek around, if your one for radio and conversation I guarantee you will love them. Click the images below for iTunes access or use the above links for direct episode downloads. I think definitely on my bucket list build would be a custom antares or aliante from master craftsman Busyman Cycles. He takes regular modern tech saddles and creates a unique and luxe finish to really set off a build, fully custom to each individuals requirements. He provides a beautiful artisanal perch to really finish off a build in style, even matching up custom bartape options. Browse his blog for examples of his fine leather wares. There's also a couple of nice interviews with Mr Busyman Nick Peel here and here. 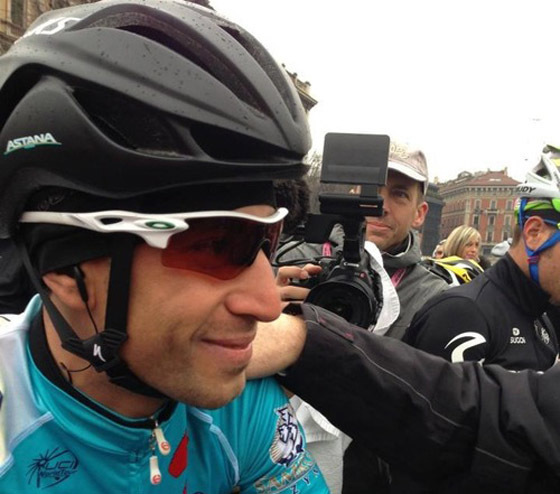 Over here at Bianchista HQ we are HUGE fans of the very awesome Emiliano Granado. 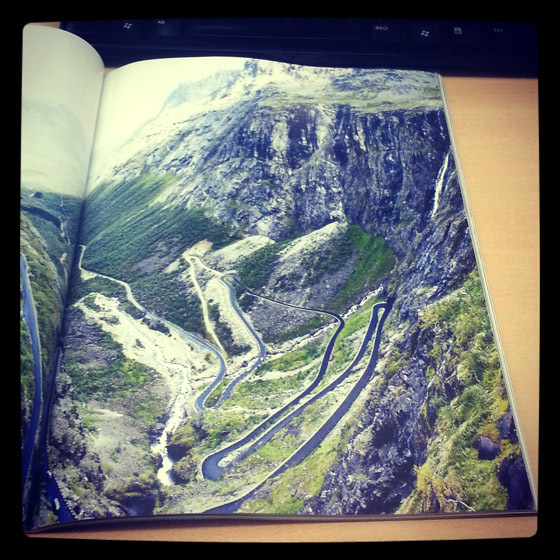 One of his projects thats been universally loved by all is the photographic journal getting under the grimy nails of professional bike racing "A Manual For Speed". 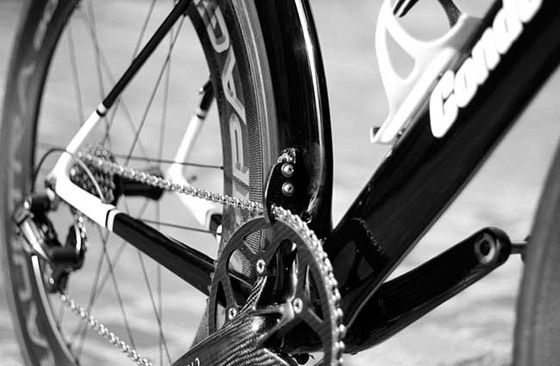 Taking an intimate and often humorous look inside the nitty gritty background of a pro cycling team. Anyway, MFS fans can now pre-order a neato neon enhanced t-shirt to show their support for the MFS project. We like our cycling t shirts and we like a healthy dollop of neon-fades so what better than copping this little beauty for $30. 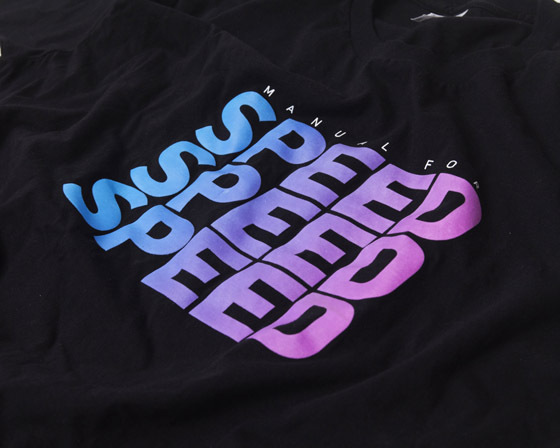 Designed by stateside neon-afficianado Mr Hsuper the shirts are on pre-order, looking to ship mid April. Order from the shop here. 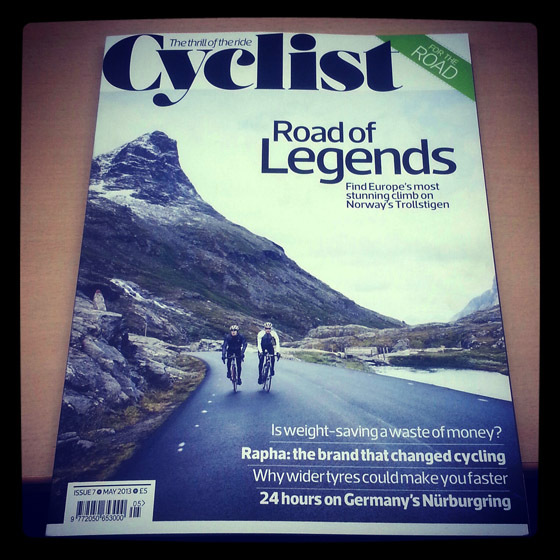 I rarely pick up cycling magazines these days, as I always leaf through the ones over in the sales department at work, or I tend to get my hit of daily cycling news via the plethora of online channels. However, a couple of articles in the recently launched 'Cyclist' magazine caught my eye, so I purchased my maiden copy, and I have to say I was suitably impressed. Pitching itself in the quality end of the mag market, at a fiver a pop, you get a nice thick mag printed on heavy duty paper, with a really good variety of articles within, with lots of tech reviews (this issue carrying a heart-palpitation inducing look at the Parlee Z5i), and a wicked feature on the simply breathtaking Trollstigen region of Norway. 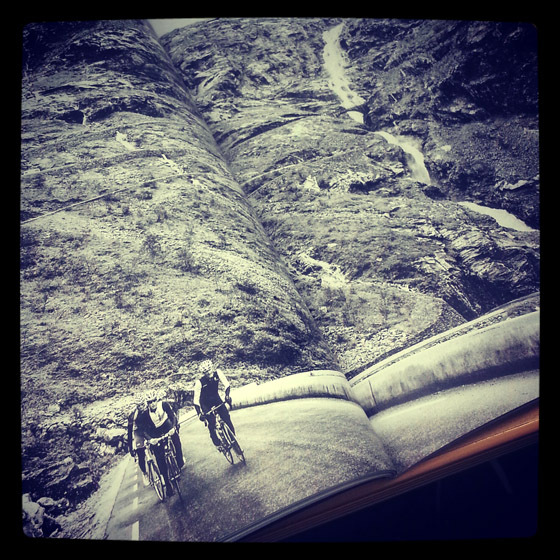 The photos are great, making the ride look suitably gritty and dare I say, epic. Delving inside the issue, is a nice in depth interview with Simon Mottram, aka Mr Rapha, where he talks about his passion for road riding and his brands core belief of suffering through glory. 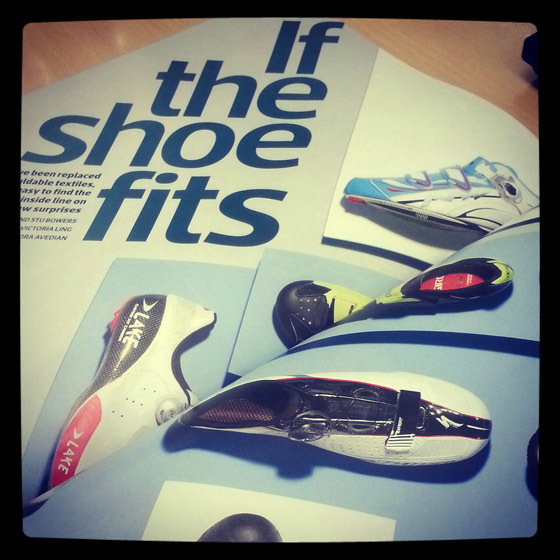 One can find a cool Q&A with Garmin's Dan Martin, and products reviews are shot uniquely, with a decent feature piece on the modern cycling shoe. 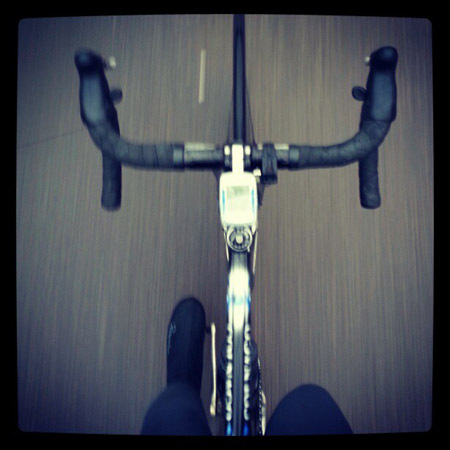 If you arent familiar with Tao Geoghegan Hart, then check out his blog here. 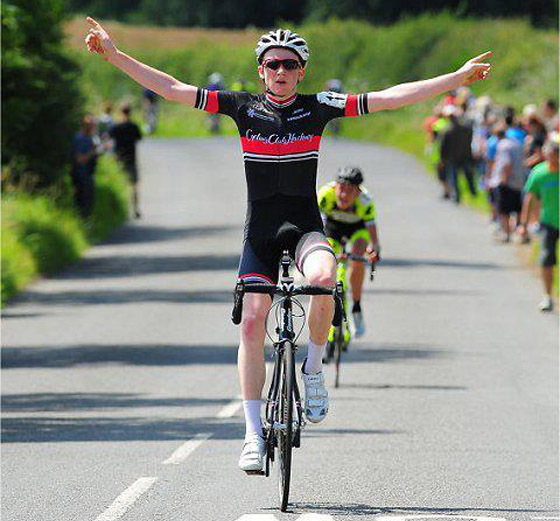 At 17, Tao is currently riding on the British Olympic Development Squad, and for Hackney CC. 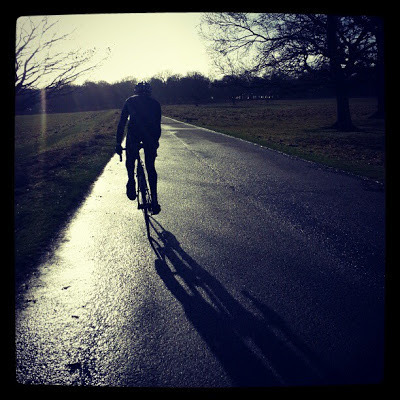 On his blog he journals the highs and lows of racing at such a high level. The guy looks every inch the dapper pro already, and in 2012 rode the espoirs version of Paris-Roubaix. He's not only every inch the consummate aspiring PRO, but also managing to hold down studies for A levels as well as ripping the legs of racers in the UK and the continent come the weekend. He's a lovely guy too, so check out some of the links below and pull up a seat to what im sure will be a very successful season for Tao on the road. Oh and Tao said I had a nice face so obviously that makes him a TOTAL DUDE. 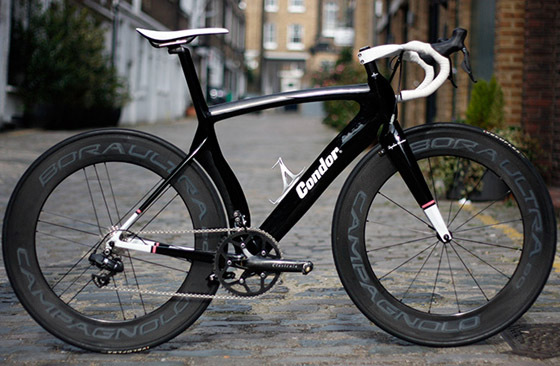 Check out the fully custom weapon Condor have created for veteran of the London cycle scene and sometimes rapha muse, Dominique Gabellini. 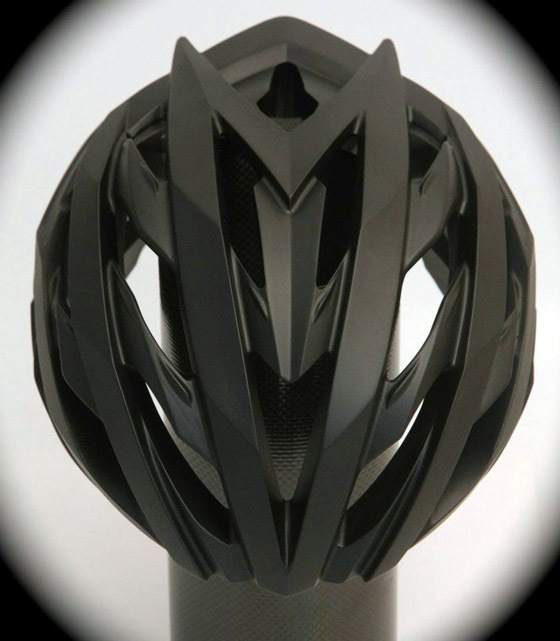 The carbon beast had each tube cut and sculpted by hand in Italy. Running a mix of componentry that reads like a whats what in the £ per gram ratio, the bike really does look the biz. No inner chainring or front derailleur, and a mix of campy wheels and Di2 help keep the weight down to a feather-like minimum. Dom will race crits like a madman on this beast this upcoming season, but for now the bike can be seen on display in the Condor window. Check it out next time you visit... 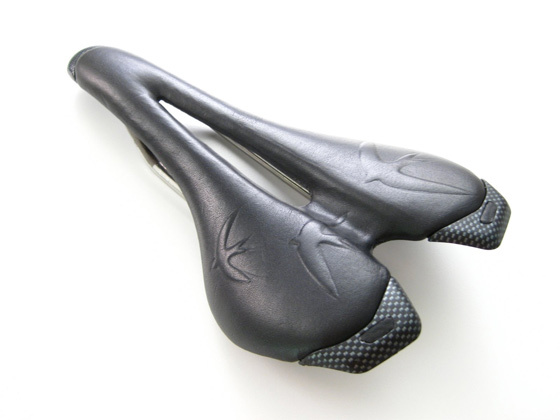 I love the saddle and bars, with their subtle striped finish. Bravo Condor! 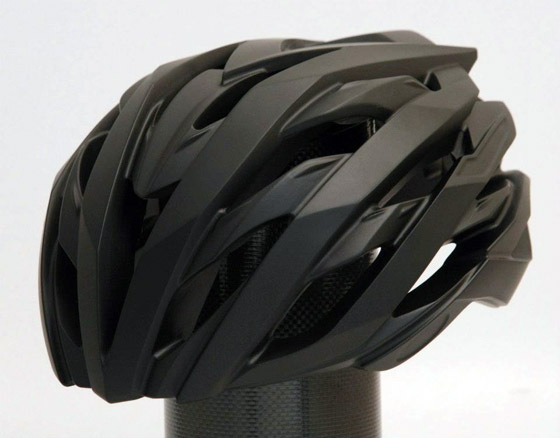 Nice stealthy looking lid, spotted over at the Koofu facebook page. The past couple of years (early adopter!) iv been really into instagram. A great social photo sharing app available on all mobile phone OS's, the program allows users to upload cool little square format pictures to share with followers. As I said to a good friend when introducing him to it "Think of it as twitter without the arseholes & opinions". Users can tag up images with a hashtag, populating them into a search for that term. One of the best is a tag championed by super strong man and rapha's handsome and most famous North London ex-pat Ben Leiberson. Using the tag #outsideisfree the door is unlocked to some absolutely gorgeous cycling terrain, from far reaching corners of the globe. The idea being that at the end of the day, outside really is FREE! its about sharing that vibe that Tom over at Mamnick so succinctly describes. 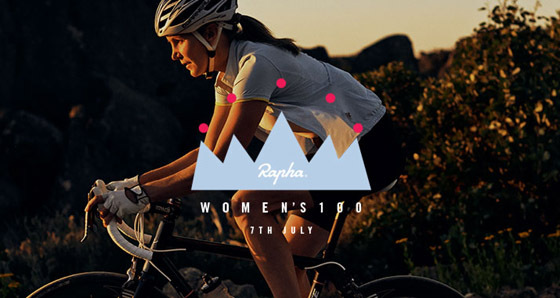 Also theres the #womens100 tag for all the ladies out there embarking on the womens 100km journey. Here is a list of cool people you should absolutely be following, and iv been enjoying a peek into there daily lives via the medium of a photograph. There's something really cool about having a little visual window to share with other like minded people... enjoy! Ok that's quite a long list, but il post up a volume II with plenty more decent follows in the near future... happy snapping! 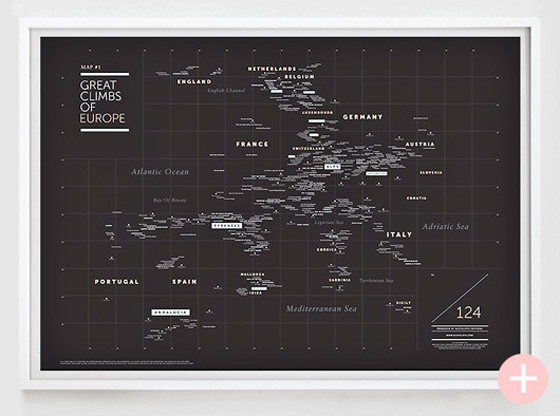 Conor over at one of my favorite websites, Elcylista, has produced these beautiful prints entitled "The Great Climbs Of Europe". Using a Giclée inkjet printing process with archival inks, the result is a beautifully tone fade-resistant print of exhibition quality. Available in two sizes, these are sure to be a wonderful accompaniment to any cyclists wall. "I started out with the monuments, those climbs passed into cycling folklore through races and riders that have given them great stories. 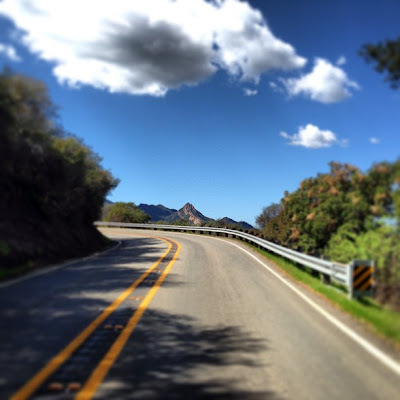 Then there are those mentioned in conversations with local riders, people we have met on the road, picked up in articles, or discovered through studying race routes. Key cities were added, the places we travel in and out of, and the ranges and areas where all of these exist. 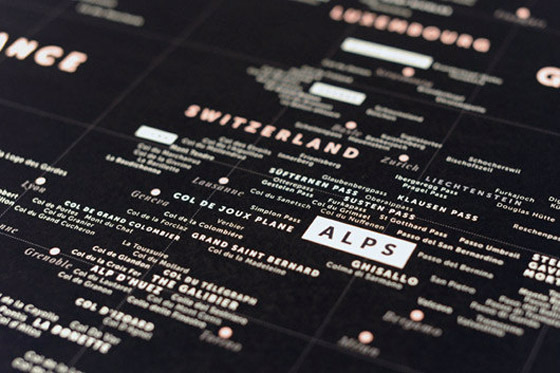 Together these have created a footprint that documents the climbers playgrounds of Europe." The total first edition of all sizes will be 124 prints, all hand numbered. Why 124? Sean Kelly was know for his exceptional descending skills. 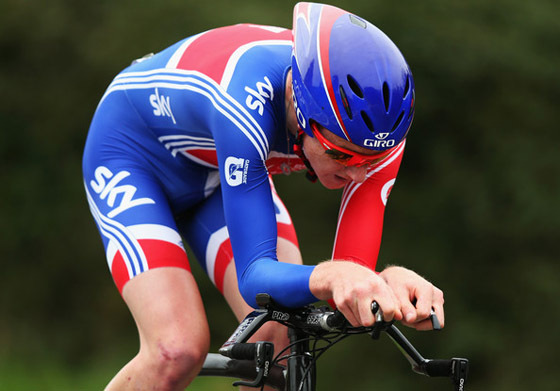 His fastest clocked decent was on the Joux Plane into Morzine at an astounding 124 KM/H. So, 124 prints in honor of that who goes up, must indeed go down. 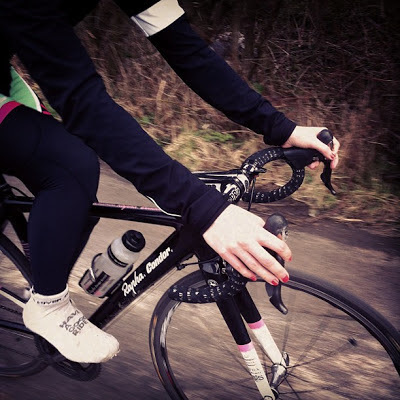 You're going to hear quite a bit in the next few months about the new project from Rapha, entitled the Womens 100. This worldwide initiative sees an attempt to get as many women as possible globally to cycle a distance of 100km on July 7th, 2013. 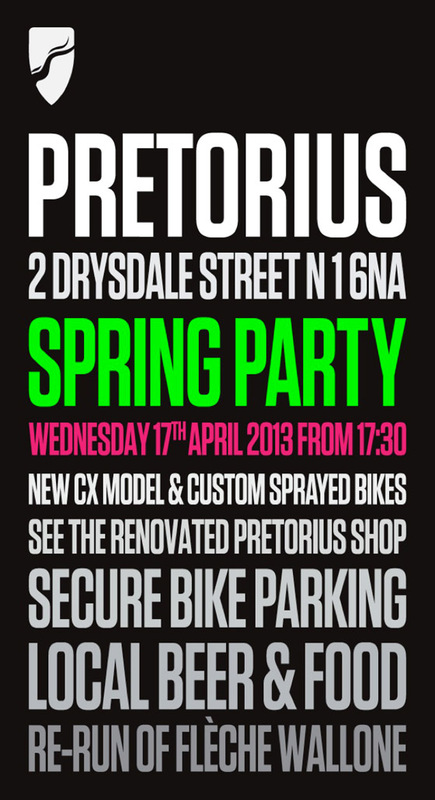 What better way to launch that on International Womens Day! 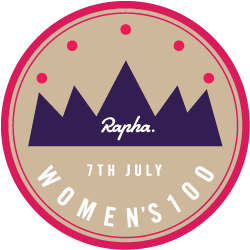 The Rapha Women’s 100 is not a competition to see who is the fastest, slowest or fittest, it is about gathering a worldwide community of women around the world to take part in this shared adventure. Il be lucky enough to be one of 100 women taking to the start line of the Etape du Tour to celebrate, and cant wait to share my journey and hear of others embarking on all manner of challenges to mark the day. The first instalment of my blog can be read over here. 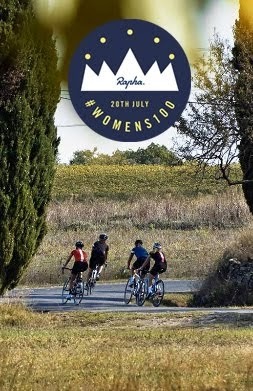 Rapha are inviting ladies to share stories of training and preparation as well as the lowdown of their 100km come the summer in all manner of social mediums. Firstly, hope on over and join the facebook group to link with training partners in your area and share links and advice. 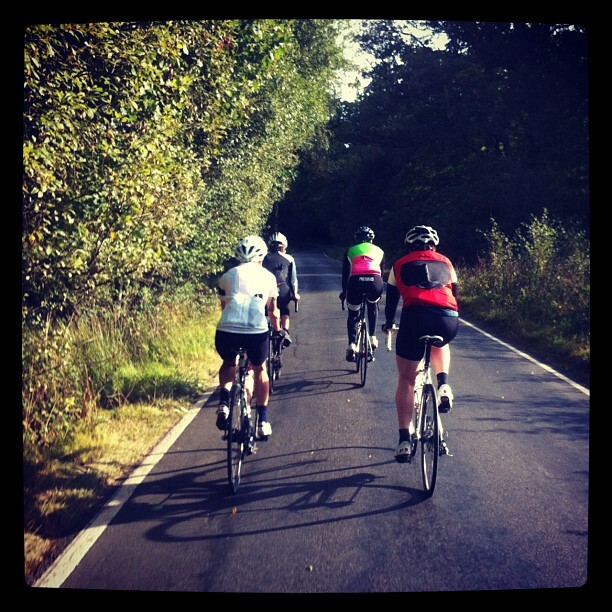 Use #womens100 while you are training and riding along the way and document your journey via Twitter and Instagram. Finally, be sure to get yourself over to the Strava page and sign up, its a fun way to tot up the mileage and earn a badge upon completion of the challenge. Fear not if you don't have a garmin or other gps advice, as Strava offer a wicked free smartphone app to track your rides. Working towards collecting those "Queen of the Mountain" crowns is a fun and addictive way to rack up the training hours. To celebrate today's launch there is a 48 hour sale on some wicked ladies essentials over at the webstore, head on over to grab a silly-priced bargain to ensure your training begins with style!